With our expertise and trustworthiness, we are engaged in offering an optimum quality range of Metalized Lamination Film. • Resistant to moisturePrice Range: Rs 200 to 250 per kilogramNote: Provided price is starting range, Price may vary as per quality and size. 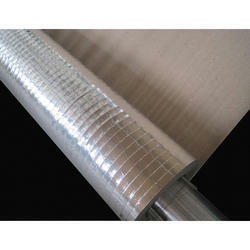 - For decorative lamination with paper. We provide our clients with a range of Metallized & Aluminum Foil Rolls & Pouches that are used for wrapping food items such as chapatti, sandwiches and others. Moreover, we also offer a gamut of hard aluminum foils and rolls that are widely used for the blister packing of pharmaceutical products such as tablets and capsules. These Metalized BOPP Films are widely used by textile industries for over wrapping application. Applied for laminated pouch purposes. These BOPP films are also used in BOPP bags. BOPP films have become one of the high growth films in the world market. 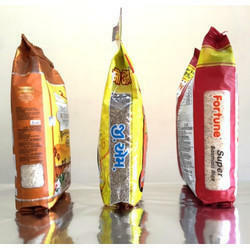 BOPP packaging films are used for lamination on paper & board. BOPP films make your packaging more glossy, water proof & strong. We are fruitfully catering to the assorted demands of the customers by manufacturing Metallised CPP Film.